You'll look like you just came from the Stone Age in this wild caveman costume. 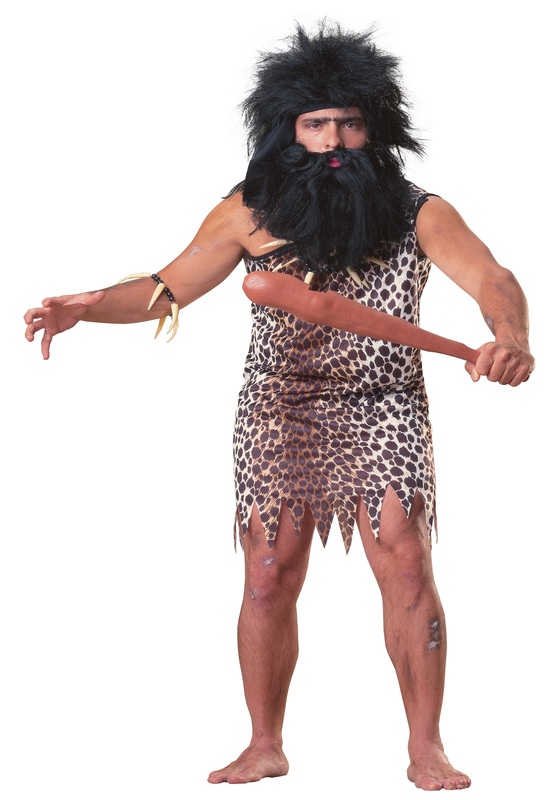 This wild caveman costume is a one size fits most costume and includes a tunic and headband. The headband is made of black polyester and can be tied around the forehead. The dress is also made of polyester and features one shoulder and cheetah print. Various shades of brown and white are seen throughout the costume. The bottom of the tunic features jagged edges. 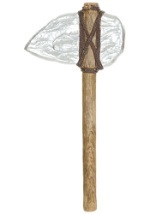 Add our caveman jewelry, mens caveman feet, wig, and other caveman accessories to complete this costume!